Lake Tahoe homes are close to some of the best winter and summer activities, one of the most popular being hiking. There are so many trails surrounding Lake Tahoe properties that lead to different gorgeous views of this beautiful lake and its surrounding. Each shore, North, South, East and West, have an assortment of there own trails. As well as the ski resorts and their hiking adventure packages and much more. For each shoreline we will go over 3-4 different trails, starting from easy to moderate to hard. Starting with the South shore homes leading you to Moraine Trail being your easiest with a 1 mile hike to Fallen Leaf lake. The wildflowers tend to bloom in the summer making June and July a perfect time. Next on our list is Angora Lakes Trail. This is a half mile hike up to two one-of-a-kind lakes set in between two framing cliffs. The first lake is a great swimming area and you can indulge your adventurous side by cliff jumping into the lake. The Angora Lakes Resort operates at the second lake, offering rental rowboats, kayaks, and stand-up paddle boards. The moderate hike of the South shore takes you up Glen Alpine Trail which spurs off into many unique views. The one we want to talk about is the 6 mile hike to Lake Aloha. The hike flows through a massive waterfall, a wide open meadow, and the 3 Apline lakes. At lake Aloha you will have the gorgeous view of Jack’s Peak and the lake itself has many islands and a large shoreline for as much exploring as you desire. For advanced hikers in the south area of the lake, try taking Mt. Tallac Trail. This hike provides spectacular views of Fallen Leaf Lake, Lake Tahoe and Desolation Wilderness all in one trip. A wilderness permit is required for this particular hike because you are in Desolation Wilderness. Moving onto the the West Shore you have 4 particularly perfect hikes. The easiest would be Cascade Creek Falls. The trip both ways is a total of 2 miles and the trail is public where as Cascade Lake is private. On this hike you will get impressive views of Cascade Lake, Emerald Bay, and Lake Tahoe as well as the calming sounds of the waterfalls. Following that is Vikingsholm hiking trail. This is a one mile hike that ends at Vikingholms Castle, a 38 room mansion on the shoreline of Emerald Bay. The castle has tours 7 days a week starting in June going until September. After your tour you can relax at and admire the Emerald pools or continue on the trail to the lower part of Eagle Falls. Your advanced hike for the West Shore is the highly talked about Rubicon Trail. If you’re in the mood for a day long hike that covers a lot of the shoreline, then this is the hike for you! You will enjoy exquisite historical sights like the old lighthouse, fantastic views of Fannette Island, and the tea house of legends that sits atop it. Last but not least the Bayview Trail. This hike is very much an uphill climb but quickly gives magnificent views of the Lake. You will pass by Ganite Lake where you can stop for a quick dip before continuing up. At the top of Maggie’s Peak take in the views of Desolation Wilderness, Lake Tahoe and Eagle Lake. Continuing around the lake we get to the North and West Shores. Skunk Harbor is one of North Lake Tahoe homes hidden beaches. It can only be accessed by hiking an easy 1.5-mile long trail. The “trail” is actually an old road with a lot of history. As you hike you can spot the remains of an old railroad grade, which was built in the 1870’s to supply timber to Virginia City. This trail ends up splitting with the left fork leading to Prey Meadows where you can picnic next to a creek among fragrant wildflowers. The right fork will take you to the picturesque cove of Skunk Harbor. Your other hiking opportunity on this side of the lake is Mt. Rose. It is the 2nd highest mountain in the Lake Tahoe Basin and the highest Tahoe Basin peak in Nevada. Mt. Rose Summit Trail is 10 miles out and back, located near Incline Village, NV that features a waterfall and is rated as difficult. You can see almost the entirety of Lake Tahoe from the summit thus making this hike all the more spectacular! For our long distance hikers the Lake Tahoe Rim Trail is perfect! The Rim Trail is a 165 mile hike that loops Lake Tahoe and covers California and Nevada adventures. Mountain bikes are permitted on roughly half the trail, and the entire trail is open to equestrians. Hikers must obtain permits before entering the very popular Desolation Wilderness area southwest of the lake. Going either way from the lake you have hiking and more at Northstar and Squaw Valley. The two unique offers here are the two hour free Sunday hiking tours at Northstar and your $5 full moon hikes at Squaw Valley. Your Lake Tahoe dream home opens up the convenience of fulfilling your adventures in your own backyard. There are Lake Tahoe Lake Views and Lake Tahoe homes on all shores we would love to show you. There are so many golden opportunities to take on the lake. 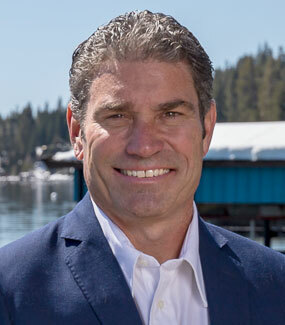 We would love to get you into your new Lake Tahoe home and get you outside doing what you love. To see these opportunities and more call or email Kelly Smith at 800-892-8821 or kel@ltol.com. You can also view all of our listing including Featured Listings at www.realestate-laketahoe.com.